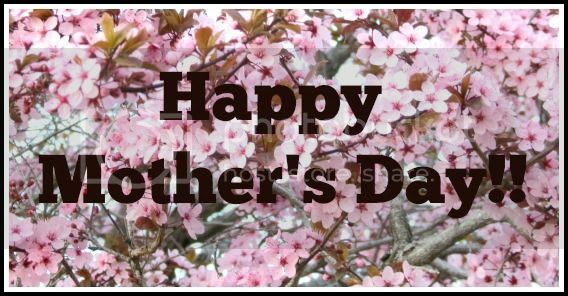 Frugal and Thankful: Happy Mother's Day! Happy Mother's Day to all of you beautiful mothers out there! And did you know that it's been 100 years since the beginning of this holiday? The history of it is actually quite interesting and somewhat sad. If you are curious, here's the link to the full story on National Geographic. But I'm still glad we have a holiday to celebrate Mother's and other influential women in our lives. Even though its been very commercialized, there are still many tender and intimate moments that make this day so special. And I'm thankful for those moments! I hope you all had a wonderful day today!! What could be bad about a tradition of appreciating our Mums and mother figures? Especially if it leads to awareness of the many mothers around the world who deserve a hand up :) Lovely to read about your little "waiter", Lena!